Summer is finally setting in and it’s time you kick back and relax. These warm months come with their own set of challenges, especially for your skin. The harsh UVA and UVB rays of the sun demand a re-application of a high SPF sunscreen every few hours along with some additional care in the form of a cooling face pack, once or twice a week. 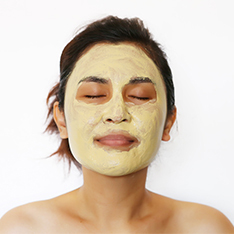 To ensure our skin looks healthy and dewy all summer long, it is recommended that we start using face packs with natural ingredients that can reverse the harsh effects of these hot months. A lot like our body, our skin requires a high level of hydration too. Cucumber and Aloe are both naturally rich in water content. They help to tone and tighten the skin while also bringing out its natural glow. Naturally cooling and rich in vitamins and antioxidants, both cucumber and aloe vera provide maximum sun protection and soothe sunburnt and inflamed skin. The Cucumber face pack reverses the visible signs of sun damage and reduces inflammation. The harsh rays of sun, dust, and pollution can leave your skin with a buildup of dirt and impurities. The pore cleansing properties of cucumber and aloe vera extract trapped impurities leave the skin clear and glowing. The increasing exposure levels can leave your skin with uneven blotchiness, dark spots, and tanning. Cucumber and Aloe Vera carry skin lightening and revitalizing properties that effectively lighten the presence of damaged skin, treats blemishes and other visible signs of ageing. This summer, pamper your skin with the Everyuth Naturals Cucumber and Aloe Vera Face Pack. It is an ideal combination of these two powerful ingredients that are perfect to keep your skin refreshed and glowing. Its naturally detoxifying nature brimming with beauty benefits make it the best face pack for glowing skin. 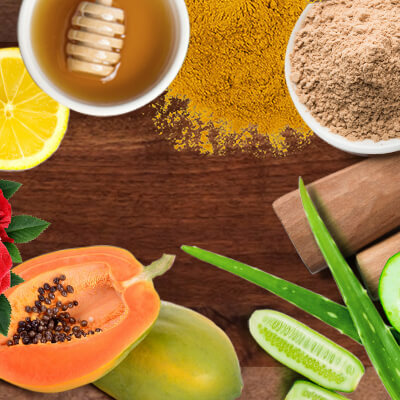 Everyuth Naturals Cucumber and Aloe Vera Face Pack suits all skin types and will be the perfect addition to your summer skincare routine for healthy and glowing skin.